Storage Lockers-Is there really money to be made? The last few years have grown a proliferation of television shows showing “average” people making loads of money from buying abandoned or foreclosed storage lockers. It must be true since it is considered “Reality TV”, right? 2) The larger crowds at auctions sent prices paid for lockers sky-high, reducing the profitability of everyone involved. After the scandal surrounding Dave “Yup” Hester, from Storage Wars on A&E the viewership of such shows declined some, but more so the attendance at auctions-at least locally-has declined. The decline in attendance has opened opportunity for those who have persevered to increase profits through paying lower prices for units. Working storage locker auctions, through trial and error, we have learned the way to maximize our profits. This is easily done through smarter purchases and an increased network of buyers for individual or specialized products. But that is only part of the story, as stated above, the work is not easy. There is a multitude of things to consider before pursuing a start-up business in storage locker auctions. First do you have a little start-up capital? Do you have a little money saved back for operating expenses until you start turning inventory? How much do you need to start? How quickly will you be able to turn product to get your money back-hopefully with profit to do more? Before bidding on any locker, you should determine if you can handle large items like furniture, appliances, or should you stick with “Box lots”? This will be important to your bidding and could eliminate many lockers from your consideration. If you are fine on money-even just a few hundred dollars-Do you have a way to haul the items from the locker and get it cleaned out? A truck? The manpower? Most facilities require you to be done in 24-48 hours-no matter what the weather is. If it storms for two days, you are still responsible to have that space empty. If not you could face a fine from the facility or worse be banned from future auctions! Ok, so you have a truck and help to get the items hauled and the space clean, but where are you hauling to? Do you have space somewhere to go through everything, inventory, clean, repair if needed, and prepare for sales? This can be a garage, carport, shed, wherever you can store items to be processed for sale. Then HOW are you going to sell items: storefront, flea-market, yard sales, online? Where can you generate the highest price in the least amount of time? What are you comfortable with-do you prefer selling face-to-face or would you prefer never meeting your buyer? What about the “trash” in the locker: paper, cardboard, non-repairable items? Do you have a way to dispose of the trash? Will there be a cost involved at your local dump? Do you have access to a dumpster or could get one where you store your items? I might add here that the dumpster’s at the storage facilities are off-limits-again you could be fined or banned from future auctions. You must haul everything out of the locker and off the facility property! If you have been considering going to a storage facility auction but are a little apprehensive, that is good. Don’t plunge into something with little knowledge, become more professional by learning all you can. The “Pro’s” will do their best to intimidate you into quitting, before you really get started. But walking into your first and subsequent auctions with confidence will help keep them at bay. Gaining confidence comes from knowledge. Knowledge is increased through studying the right materials, and the right materials come from someone who has already walked the path on which you are about to start. I have seen many new people at storage locker auctions, but the majority disappear after 2 or 3 purchases because they were not properly prepared for starting their business. Don’t make that mistake and become a quitter statistic after just a few auctions. I have prepared a 32 page report outlining the business and best practices for being successful in the storage locker auction business. This report takes the questions above and goes in-depth as to how to prepare yourself for an auction-going to the auction-how to bid-strategies on becoming the winning bid-how/where to sell-tracking your purchases and sales for profitability and more! Ten years worth of experience and teaching others to be successful in this business packed into these pages. There is not a lot of “fluff”, it is information you need to be successful with stories from our personal experience as to why we do things the way we do. 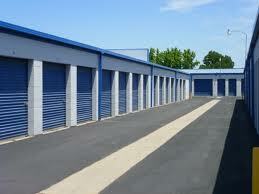 This report will help you to get organized to start and run a successful business with storage locker auction’s. 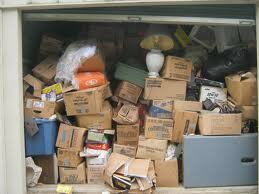 You will see how invaluable this information is to anyone who wants to be successful with storage locker auctions.